The 23andMe Parkinson’s Research Community continues to fuel insights into the disease, with researchers now reporting preliminary findings that motor symptoms in women with Parkinson’s may be less severe when compared to men with the disease. However, early findings show that women with the disease may experience more severe non-motor symptoms. These studies, which will be published later this year, were made possible by the participation of the now more than 10,000 people in 23andMe’s Parkinson’s Research Community, the world’s largest cohort of genotyped Parkinson’s patients. Our work has also received vital assistance from 23andMe’s partnerships with organizations like The Michael J. Fox Foundation, The Parkinson’s Institute, and the Cleveland Clinic. – Patients with a mutation in the LRRK2 gene had less severe motor symptoms. – Patients with a higher body mass index (BMI) experienced more severe symptoms. – Women had less severe motor symptoms but more severe non-motor symptoms. We also found factors that were associated with earlier age of Parkinson’s onset, which may be of potential relevance to clinicians deciding when to screen for the disease. Patients who carried a GBA gene mutation, patients not of Ashkenazi Jewish descent and patients with higher BMIs tended to have earlier ages of onset. Such information on onset and symptomology of different populations could be of benefit to both patients and their doctors to give an idea of what to expect and in building a treatment plan. We still have much to learn about this disease: the relationship between genes and environment in causing Parkinson’s, how the disease develops differently in different people, and how genetics may influence how patients respond differently to different treatments. 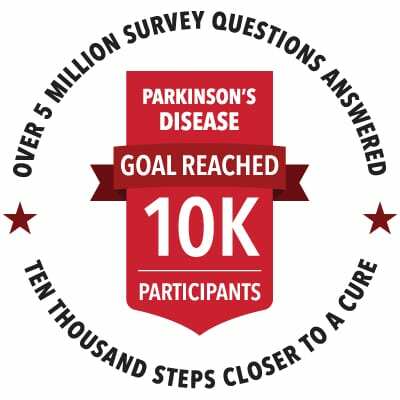 Participants in the 23andMe Parkinson’s Research Community continue to help researchers make strides toward greater understanding and development of new treatments for Parkinson’s disease. Learn more about how you can become part of the genetics revolution under way in Parkinson’s.